A full three-quarters of the top Manhattan cash buyers in the first half of the year had Asian surnames, according to the national market-watcher RealtyTrac. The names Chen, Liu and Wong were the most common on the ranking of the top 20 cash buyers in Manhattan during the first six months of the year, RealtyTrac’s data show. “Of the top 20 cash buyers in New York City, only five were non-Asian buyers, while the remaining 15 buyers were either overseas Asian buyers or Asian-heritage local buyers,” the company said in its September housing report. The most common surname in China is “Li,” accounting for almost 7 percent of the population, according to Bloomberg. “Chen” is No. 4 on the list. 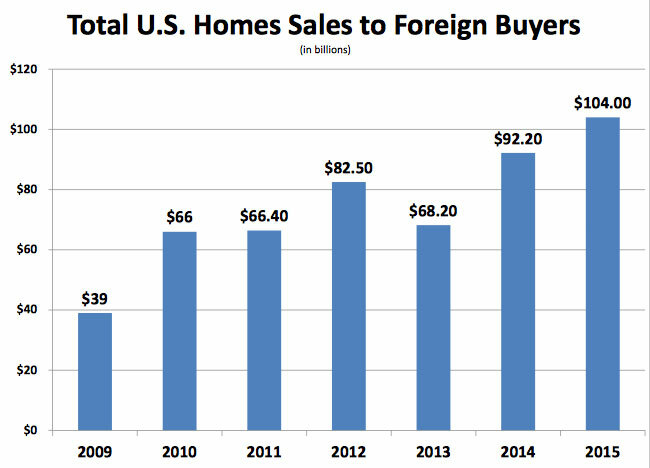 Foreign direct investment in U.S. real estate rose to $104 billion in a 12-month period ending March 2015, a 10.4 percent rise over the prior year, according to an analysis published by the National Association of Realtors. RealtyTrac’s ranking came from sales deed data, so it’s safe to assume that these are not the buyers purchasing properties through anonymous LLCs. Earlier this year the New York Times published an investigative series scrutinizing LLC buyers at the Related Companies’ and AREA Property Partners’ Time Warner Center. The newspaper found that over 80 percent of condo buys at the Time Warner Center were made by shell corporations. Shell companies own 77 percent of the condos at Gary Barnett’s One57 on Billionaires’ Row. The practice of secret purchases has been criticized for enabling shady corporations and allegedly corrupt government to easily launder money through valuable real estate. In response, the city instituted new rules in July requiring shell companies buying property to release the names of their members. According to RealtyTrac’s data, the Chinese represent 16 percent of foreign buyers nationwide.